Not too long ago mankind prepared for the winter by securing heat and storing food. Nowadays it's about dealing with the summer. Taking care of the boat and the summer cars, has two important purposes. 1. To enable plenty of undisturbed quality time in the garage during dark period of the year. 2. To prepare for the next light part of the year which means enjoying boats, cars and bikes. Common for point 1 and 2 are that you enjoy them with family and friends. We are all very well aware of that we are privileged to enjoy a work which pay our bills and give some space for extra boats, cars and bikes. On top of this we are so far (!) rather healthy and very happy with life, family and friends. Today I have been running around buying necessary parts to deal with the boat oil filter and hardware to cover the boat in order to keep it dry and in good shape for upcoming spring. Besides of giving the motor a service I needed to deal with a turbo issue and some strange electrical phenomena. I will continue with the boat next weekend, meanwhile I took the time to spoil the Camaro. New oil and filter and best of all no traces of harmful disorder in the old oil. Puuh. Had to repair a brooken tread for one of the thermostat house bolts, at the same time I changed thermostat since the old one gone sick. Camaro a little bit closer. Happy and back on track. Since we have a long winter coming I couldn't help myself and started with the model A. It need some TLC with Cooling, Engine and front end. The idea is to get it in good driving condition to the spring. Cooler out took away old leaking hoses, water pump which will be modified to a modern sealing type and fresh bearings. 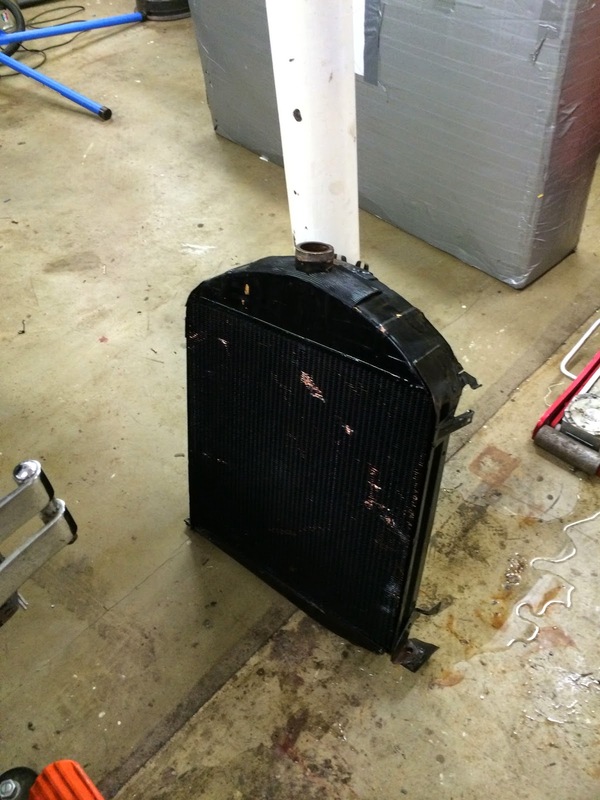 Will also change oil and update ignition etc….. Meanwhile, in another part of south Sweden, Håkan & Carina are working with their usual autumn / winter car nursing. All the old cars that has enjoyed warm summer winds and road trips now has now got their service and needs to get back in to various garages and barns to get shelter from the storm. The wind is howling in the darkness outside...but when I close my eyes I see light and hear a familiar humming sound. Could it be a weld torch? And Anders made a a trip to the future ! Saturday we as usual spent some time in the garage. Besides of working we have a lot to discuss and evaluate which we do during the fika. We are rather confident for the future, autumn is here allthough we still need to handle a number of private matters before the winter, preparing the boat for the winter, Parking summer cars in extra garages , some garden work … but soon we are ready to focus even more. We have now come to a point where we dare to start final welding of at least some parts and systems. Me started to weld the plates for the 4 link to the rear axle, rather tight and hard to reach all spots. But it will work out in the end. Anders gives a hand and some needed advice. My welds where evaluated as OK but all could see and told me that I hadn't spent the last years at Chip Foose as a welder. We still have some issues with the adapter from KL racing but to not slow us down and to enable the build of rear transmission mount we made some temporary arrangements. Carina is giving some final touches to the set up. Anders just couldn't help him self. He closed his eyes and felt the cold and crisp desert air, the smell of adventure and the silence before all engines are started when only the wind and desert can be heard. He reported back after his visit to the future that it's just amazing and much more exiting then you can imagine and we were doing some serious speed. You know we want that T-shirt. We managed eventually to get all cavities milled, all holes drilled and all treads treaded. Therefore it was time for the flywheel to be released from the milling table. We looked at each other, without speaking a word. 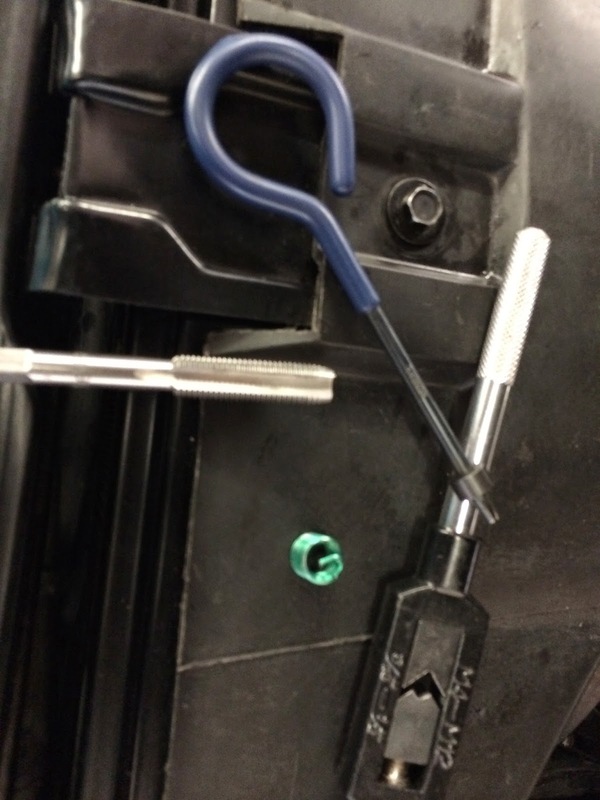 We grabbed the spanner and did what was needed to be done. Both Anders and I knew what the next step would be. To try to fit our new born one-of-a-kind, Volvo-to-Tilton-to-Tremec T56 Magnum flywheel to the crank. 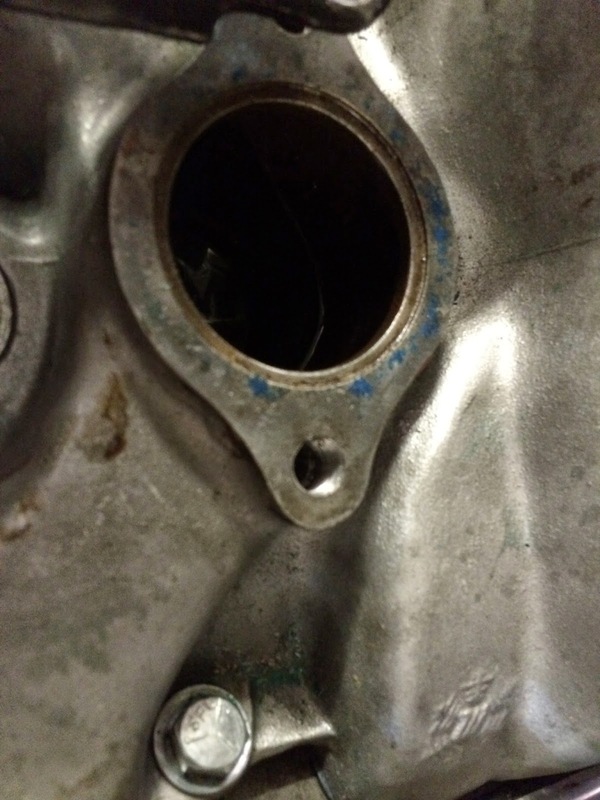 Anders had milled the crankshaft hole a couple of hundreds of a millimeter over…but would it be ok??? The answer was YES! It did fit absolutely perfect. All 10 bold and slight press fit was ok! Success! It looks really good, feels like I can watch it for hours! What remains now are som final adjustments before the Engine and Transmission assembly is complete. Currently we struggle with the Volvo to GM rear face of block adapter...to be cont. We're tooling our way towards the perfect torque transfer. Anders milled away unnecessary material from the old flexpate and voilá, we've got a starter motor feature on our flywheel. Within a couple of days from now we'll be able to see how it all bolts together with the engine and transmission. We eagerly await this exiting moment...don't you? Relaxed, with fresh Sunday morning minds, we continued to transform a piece of metal ﻿and an old flexplate from an Volvo 960 doner powertrain to what will become a super strong and beautiful piece of race eqippment. We followed the usual procedure. The brain trust gathered. Engineering began. Oily fingers tapped on calculators. Drawings were made. Tool magazines was checked. The concentration could be felt in the workshop. Good things in life. Cold garage beer and race clutch. Our good looking Offspring to be is now ready for next step in the machining process. We needed to get back on track. We needed a little bit of push. One night we got a Sign. An epic thunderstorm hit Gothenburg. Afterwards we were all energized and concentrated again. 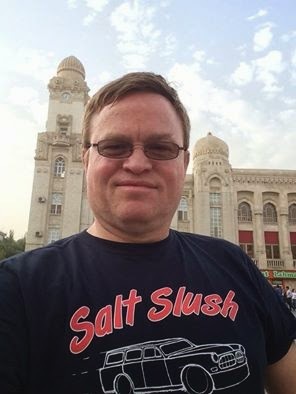 Our good Friend Mr Mats J from Värmland then and now Oklahoma USA who is flying a 747 everywhere and even to places you only read about, with all types of stuff, sent us this picture from Baku in Azerbajdzjan. Mats is a man with very good taste and probably on this picture very close to being the most well dressed man in Baku.